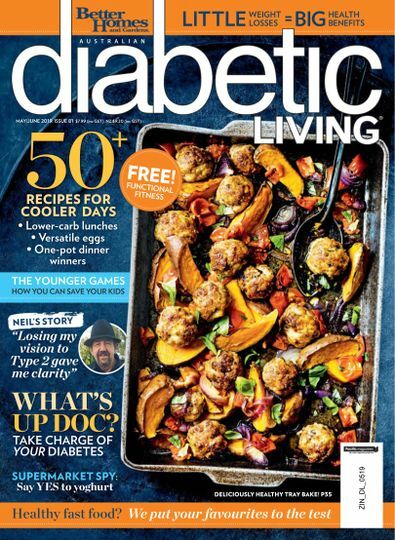 Diabetic Living features information on living well, exercise, news in the world of diabetes, real life stories and the popular and delicious recipes featured in every issue. It is the healthy lifestyle magazine focused not only on preventing and controlling diabetes but also providing readers with the latest news and products for their wellbeing. I am a newly diagnosed Type 2 diabetic and read this magazine at a friends place. It was so informative as I was hungry for any information and your magazine was so full of information that I did not know. Keep up the good work.